The setting of drive pinion and ring gear is a determining factor for the service life and smooth running of the rear-axle drive. Drive pinions and ring gears were therefore matched during production which have been checked for good surface appearance and low noise in both directions of rotation on special test equipment. 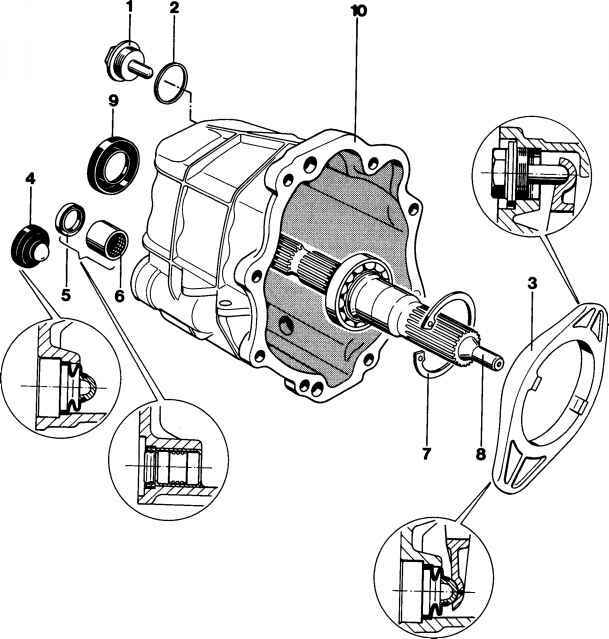 The position at which smoothest running can be achieved is determined by shifting the drive pinion axially, whereby the ring gear is kept within the tolerance of the prescribed tooth-flank backlash. Deviation V from the specified design dimension "Ro" is measured, added to design dimension "Ro" and embossed on the ring gear as setting value "E".